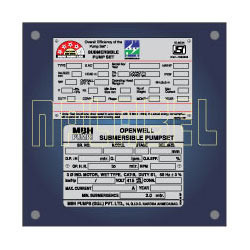 Being the leading names in industry we are into offering a quality approved range of Stainless Steel Metal Labels and Name Plates These are made using fine quality material which we sourced from the certified vendors of the market. These have high capacity and are available in different specifications as per the clients requirement. Stainless Steel Name Paltes with Brushed Finish. Give you home and office space a quirky look. With rich industry experience & knowledge, we have been able to provide the best array of Stainless Steel Name Plate. We are into manufacturing and supplying of name plates in all sizes and which are suitable for residences as well as commercials. 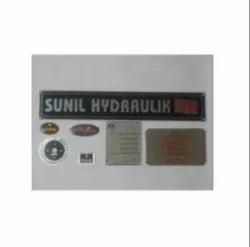 We are dealing in S.S. Nameplates.Our client can collect from us superior quality range of S.S. Nameplates which is designed in both small and large sizes. Our products are highly stain proof and are supplied for various personalized and commercial uses.